Part of the attraction for visitors to Hepburn Springs and Daylesford is escaping the city for a country getaway surrounded by natural beauty. Staying in Hepburn Springs and Daylesford means experiencing the best of a country and city lifestyle. That means exceptional fine dining and lots of quality Hepburn Springs restaurants for enjoying an affordable lunch or dinner. The little township of Hepburn Springs has plenty of choice, including an award winning Chef’s Hat restaurant – The Argus – and a selection of quality bistros and cafes. 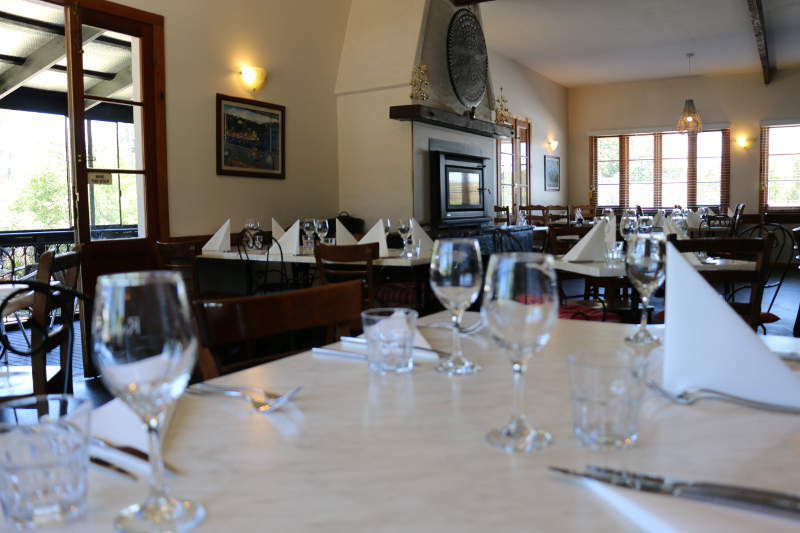 Hepburn Springs’ restaurants are all in close walking distance of accommodation and the famous Hepburn bathhouse – perfect for when you’ve worked up an appetite from all that relaxation and pampering. If you’re looking for an affordable and friendly bistro to enjoy lunch or dinner, Rubens is your best bet. Rubens is a small, cosy restaurant on the main road of Hepburn Springs. 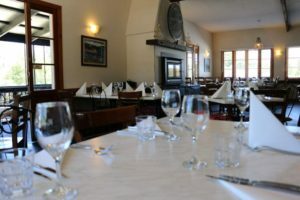 The bistro is simple and tastefully decorated with timber windows and chairs and a large central fireplace with a wood fire for the cooler months. In summer al fresco dining is available on an enclosed veranda, running the length of the building. Rubens serves good food at a reasonable price and provides really friendly service. Because the restaurant is small, it’s a good idea to book for dinner as this little place can pack out, particularly on weekends and at holiday time. You should have no trouble getting a table for lunch on most days. Rubens is perfect for the whole family, with meals that will appeal to kids, as well as plenty of mediterranean favourites for adults. This popular Hepburn Springs restaurant has a reputation for great pizzas. The menu includes fifteen different gourmet pizzas, including three vegetarian choices. There’s a selection of tasty starters, including mussels, bruschetta, arancini and crumbed camembert. Mains include fish, seafood, lamb and chicken. The dessert menu includes the popular favourites of sticky date pudding, tiramisu, chocolate mousse and italian doughnuts! We visited Rubens for lunch mid week and sat outside on the verandah. The service was friendly and fast. Servings were generous and really well priced and the atmosphere was lovely. Staff were also happy to meet our dietary requests. Online reviews are overwhelmingly positive, with lots of praise for the pizzas and friendly service. Rubens consistently scores 3.5 or 4 stars in its online reviews. Rubens is fantastic for a well priced lunch or dinner in Hepburn Springs. For a quick lunch and good coffee, try Hepburn General Store. If you are looking for a romantic restaurant to really impress, we recommend The Argus. To find out more about Hepburn Springs restaurants, shopping and things to do in Hepburn Springs and Daylesford, check out Hepburn Springs And Daylesford News. Follow us on Facebook for updates on things to do, as well as regular competitions to win two free nights staying in Hepburn Spa Pavilions at Saffron, Horizon or Kookaburra Ridge. Rubens is located at 70 Main Road, Hepburn Springs. Rubens is open for dinner 7 nights and is open for lunch Wednesday to Sunday.